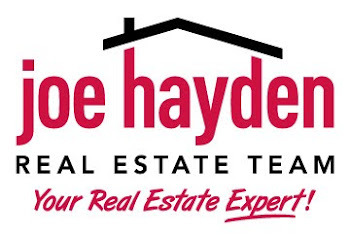 See the Kentucky Opera Present Macbeth September 18 | Louisville Real Estate with the Joe Hayden Real Estate Team - Your Real Estate Experts! See the Kentucky Opera perform Verdi’s Macbeth on September 18, and get blown away by the amazing culture that’s available in Louisville. The city may not be famous for its opera...but maybe it should be! Hear it for yourself, and you’ll see why opera lovers are going to love Louisville this September. Macbeth is one of the most famous Shakespeare stories, and it’s beautiful when it unfolds in opera. This is a story of the supernatural, a story of madness and murder, a thrilling tale of kings and queens and intrigue. Can you think of a better reason for going to the opera? Verdi’s opera is based on the play, of course, so Shakespeare buffs will certainly recognize the thrilling story. The lavish costumes and sets are provided by Opera Pacific Victoria, and the performance is sung in beautiful Italian. Be at Louisville’s Brown Theater at 315 W. Broadway from 8 pm to 10 pm, and see this spectacular show for yourself. You’ll be in the heart of downtown Louisville, surrounded by the best of the city’s culture. You’ll find that the downtown area is also surrounded by some of the city’s best neighborhoods. The Shelby Park neighborhood is named for the neighborhood park that it surrounds. This was named for Isaac Shelby, the very first governor of Kentucky. You'll find that history still lives and breathes in Shelby Park. The entire neighborhood is full of historic buildings and amazing reminders of Louisville's past, when the streets were filled with horses and carriages instead of cars. Looking to invest in a home that's ready to be renovated? Looking for an historic home that's already been updated? Searching for a cozy, comfortable dwelling or an amazing duplex? Whatever you're seeking, you can probably find it in Shelby Park. The homes here reflect the historic style of the neighborhood, but most of them are old only on the outside. On the inside, many have been renovated to give you the modern amenities you really want (like lights and water). Shelby Park is just blocks away from the excitement of downtown, but the shady streets and historic buildings look years away from the fast-paced city streets. Visit downtown Louisville and Shelby Park this September to enjoy culture, history and the amazing homes you can find near the downtown area.